Pink Street are proud to present this stunning four bedroom house in Blake Road, Farlington, Portsmouth. The property comprises of four bedrooms (one of which has an en-suite), a living room, open plan kitchen, dining room and snug, a family wet room, downstairs cloakroom, garden and separate patio area, large driveway and garage. The property boasts added features such as; bespoke white shutters throughout, under floor heating, air conditioning and luxury Karndean flooring throughout the ground floor.  Contact Pink Street to arrange your viewing - 02392 864 555. LIVING ROOM 23' 1" x 14' 4" (7.04m x 4.37m) Large living room with beautiful Karndean flooring, large windows with white shutters, and French doors opening out into the garden. The room also boasts the added benefit of having air conditioning. OPEN PLAN KITCHEN/DINER 21' 7" x 10' 8" (6.58m x 3.25m) Matching white wall and base units, double Belfast sink, space for a freestanding range cooker. Large dining area with a bay window and beautiful Karndean flooring. SNUG 20' 3" x 10' 8" (6.17m x 3.25m) Steps going down to an extra living space with under floor heating, Karndean flooring and French doors leading to a lovely patio area. MASTER BEDROOM (WITH EN-SUITE) 16' 0" x 11' 0" (4.88m x 3.35m) Large master bedroom with neutral carpet and d飯r. This room also boasts the added benefit of having under floor heating and air conditioning. Large windows surround the room, providing panoramic views and bringing in plenty of natural light. The en-suite wet room contains a shower, basin, WC and built in storage. BEDROOM TWO 11' 4" x 8' 9" (3.45m x 2.67m) Good sized double bedroom, again with stunning views. Built in wardrobes with internal lighting. BEDROOM THREE 9' 9" x 9' 7" (2.97m x 2.92m) Another great sized double bedroom. BEDROOM FOUR/STUDY 10' 4" x 6' 6" (3.15m x 1.98m) Single bedroom/study with neutral carpet and d飯r and a built in safe. FAMILY WET ROOM 6' 5" x 6' 1" (1.96m x 1.85m) Wet room containing a shower, basin, WC and built in storage. GARDEN Large south facing garden. Mostly lawned, with a patio and raised decking area with sea views. There is also a separate paved courtyard garden with another raised decking area. DRIVEWAY & GARAGE Large sweeping driveway where there is room for approximately 5 cars. There is also a one and a half length garage with an electric door.